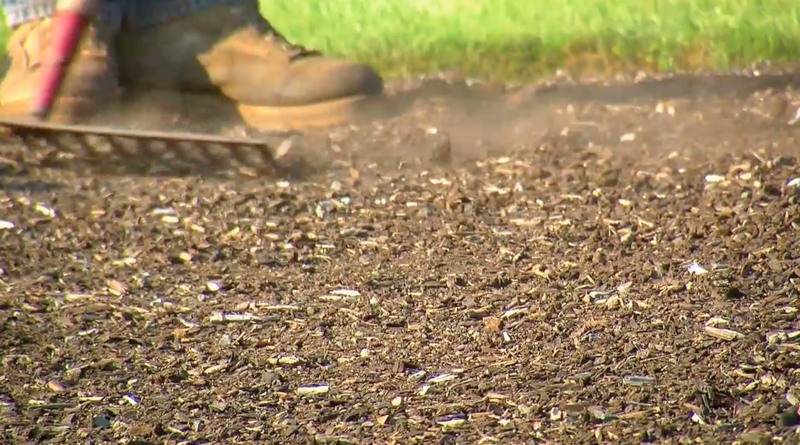 Learn what wood chips are the best mulch for a garden. Back to Eden Gardening uses wood chips that are 90% needles, leaves, and branches that have been chipped from tree trimming waste. It is important to understand that the leaves are a source of nitrogen and the branches are a source of carbon. 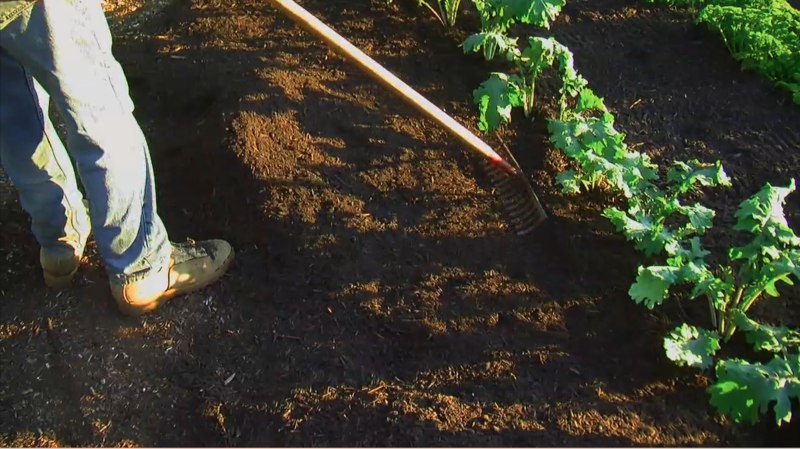 This ratio creates an ideal mulch gardening material when the wood chips have composted. Paul Gautschi has multiple gardens and orchards in which he utilizes both raw, composted, and screened wood chips. Composted wood chips are chipped tree trimmings that have had time to break down and have composted for 3+ months. This is what you will create from letting your raw wood chips sit and break down for 3+ months. Bark Nuggets: Bard Nuggets do NOT have the carbon to nitrogen ratio that creates a good gardening mulch. Sawdust: Sawdust is only recommended when mixed in with manure, which is typically then composted. 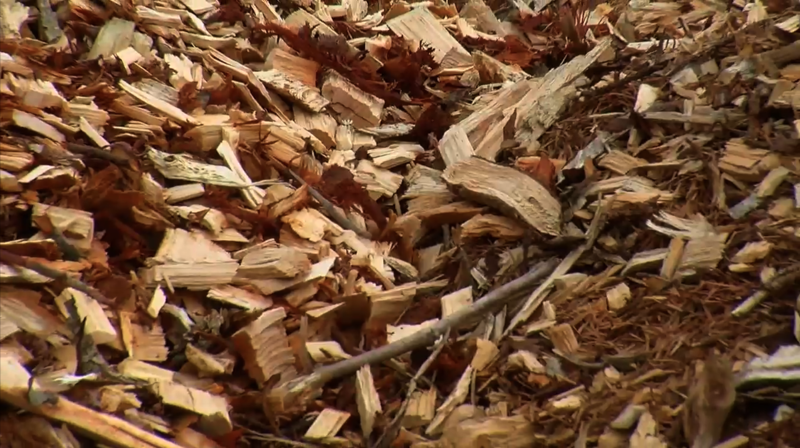 Processed Wood Chips: Do not use dyed or chemically treated mulch. This is sold as a decorative landscaping mulch. It will not be what you receive from tree trimming service drop off. When in doubt, always ask the supplier. Eucalyptus: This is the only tree that Paul does not recommend using the wood chips from. Poison Oak/Poison Ivy: If you are concerned about what might be in your wood chip delivery, ask the tree trimming service company any questions you have! 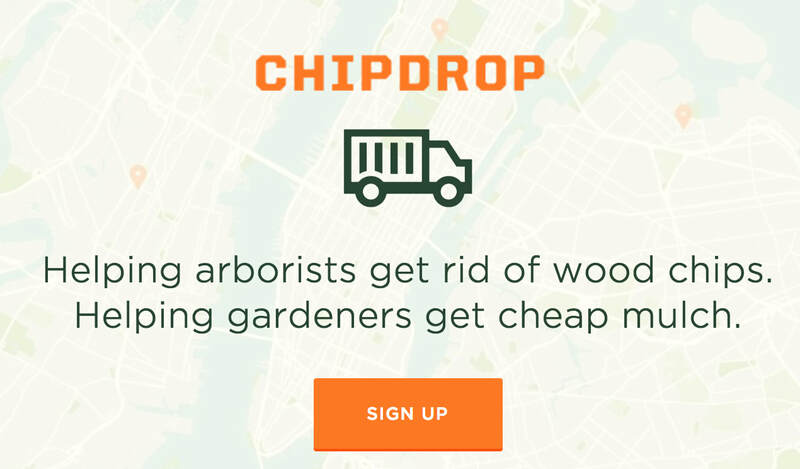 Sign up for FREE to get a FREE wood chip delivery!